As NPR writes, “siblings Clyde and Gracie Lawrence are not your typical pair.” Clyde Lawrence, 24, and Gracie Lawrence, 21, have been writing songs and listening to countless Stevie Wonder, Randy Newman, and Aretha Franklin records together in the living room of their family’s New York City apartment since they were little kids. After years of playing together, they officially created Lawrence, an eight-piece soul-pop band comprised of powerhouse musicians who happen to be their best friends from childhood and college. The keyboard-driven rhythm section and tight, energetic horns create dynamic arrangements to support Clyde and Gracie’s explosive lead vocals and catchy melodies. Their sophomore album, aptly titled Living Room, was released in September 2018. Living Room promptly reached #2 on the iTunes R&B/Soul chart, earned a featured placement on Spotify’s “New Music Friday” playlist, and led the band to its late-night television debut on NBC’s Last Call with Carson Daly. The album ranges from R&B/funk feel-good pop songs to soulful and cinematic ballads. Co-produced by bandmates Jordan Cohen (tenor/baritone saxophone) and Jonny Koh (guitar), Brooklyn-based producer Eli Crews, and Clyde and Gracie themselves, Living Room chronicles the life of two kids growing up into (almost) fully formed humans and the trials and tribulations along the way, including break-ups, make-ups, a family loss, and the attempt to find harmony between excitement, anxiety, melancholy, and empowerment. Sonically, the album combines elements of Lawrence’s old and new influences by mixing live with electronic, analog with digital, and meticulousness with spontaneity. Upon releasing Living Room, Lawrence embarked on the Living Room World Tour, including a full set of headline dates across North America and support and festival slots across Europe. With their high-energy sound and completely live arrangements, they have gained a devoted following of all ages, demographics, and musical backgrounds. 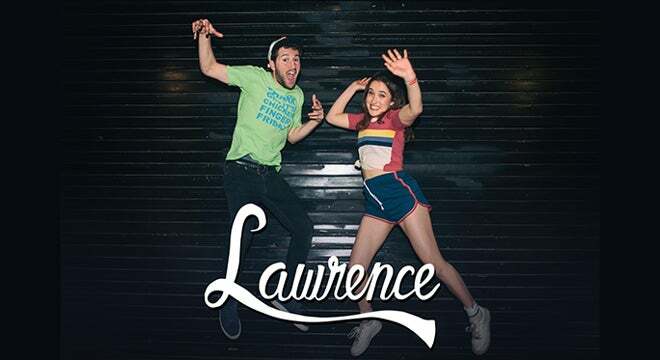 Lawrence has sold out headline shows across the country and appeared at festivals including Bonnaroo, Outside Lands, Firefly, Okeechobee, Hangout, and many more. 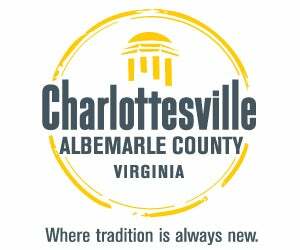 The band has also opened for notable acts such as Lake Street Dive, Vulfpeck, Jon Bellion, Soulive, Jacob Collier, Blues Traveler, O.A.R, Bernhoft, and others. 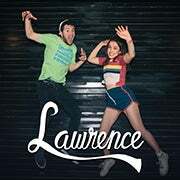 Lawrence rose to prominence in 2016 when they released their debut LP Breakfast (2016), which reached #6 on the iTunes R&B/Soul charts, and received attention and praise from a variety of sources ranging from NPR’s All Things Considered to Stephen Curry’s social media. Produced by Grammy Award winner Eric Krasno (Lettuce/Tedeschi Trucks/Soulive), Breakfast includes guest performances by NYC soul/funk mainstays Adam Deitch (Lettuce), Cory Henry (Snarky Puppy), and Maurice “Mobetta” Brown (Tedeschi Trucks Band). In addition to the band, Clyde and Gracie Lawrence also work in other artistic fields. Clyde has composed songs and score for films such as Miss Congeniality (2000), Music and Lyrics (2007), The Rewrite (2015), Landline (2017), and an upcoming Disney film Noelle (2019). At age six, Clyde was admitted as the youngest member to the Songwriters Guild of America. Gracie is an accomplished actress, and can be seen as a series regular alongside John Caroll Lynch, Leslie Odom Jr., and Sturgill Simpson in the CBS All-Access murder mystery One Dollar. Gracie has also appeared on Broadway in Brighton Beach Memoirs (2009), in films such as The Sitter (2011) and Did You Hear About the Morgans? (2009), and in television shows such as The Good Wife (2012), The Americans (2014), and Younger (2015).